Struggling with delivering new capabilities to the market in a timely manner? 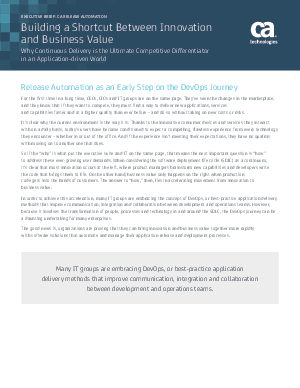 Start your DevOps journey now and learn how implementing Continuous Delivery solution can be the ultimate competitive differentiator for your business. How to improve quality and increase visibility to the application deployment process.